Lil' Blog and More: BlogPOP Christmas Wishes: Spirit Hoods Giveaway (ARV: $129) 3 Winners - Open Worldwide! BlogPOP Christmas Wishes: Spirit Hoods Giveaway (ARV: $129) 3 Winners - Open Worldwide! I need to start this post off with saying.. I LOVE SPIRIT HOODS! 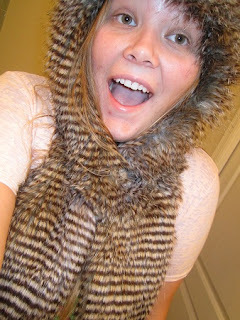 Spirit Hoods are my new favorite thing. They are stylish, cute, and comfy! Another thing; I am actually pretty weird. Even if it's like 90 degrees out, and I like something, I'll wear it. I tend to wear those big fuzzy boots that are made just for winter, in the middle of summer. It definitely gets me looks - But hey, what can I say? I'm sure I will occasionally step out in the summer with my Spirit Hood too :)! It was impossibly hard to choose only one Spirit Hood to review - But I ended up choosing the Night Owl. I love the pattern, and I really like how different it is from the other hoods available. The Night Owl Hood is everything I expected.. and more! It looks extremely stylish, and it's amazingly comfortable. Last week when it was about 50 degrees out, I actually had to go to my exercise group.. And I was so cold. Before I left I rushed back and got my Night Owl Spirit Hood. My ears and face stayed warm and toasty! My favorite thing about Spirit Hoods is that they are 100% Faux Fur. I would never sacrifice animals for beauty. Spirit Hoods have some amazing designs, but I think my other favorite would definitely be the Grey Wolf Warrior, because it is part of the "Pro Blue" series. When you shop Pro Blue, 10% of the net profits go to one of those amazing charities. So not only are you spicing up your wardrobe, but your also helping helpless animals! I don't think I could love Spirit Hoods any more then I do right now. I have the Grey Wolf Warrior on my Christmas wish list - So I'm keeping my fingers crossed! I would recommend Spirit Hoods to anyone! They have hoods for men, women, and kids. 3 of you will receive a Spirit Hood of choice, valued at $129 each! such a hard choice but i would go with the snow leopard. thanks for the chance!! I love the Snow Leopard! Love the red fox or forest fox! I can't decide between the snow leopard, red wolf, or leopard. Girls Miss piggy is really cute! If I win, I would probably choose the grey wolf. 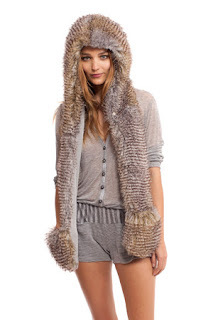 I'd love to get the Gray wolf hood! Oh gosh! 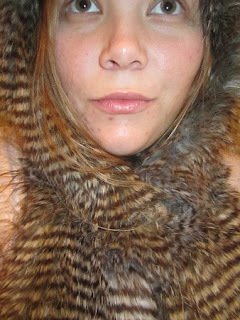 I love SpiritHoods! I love the skunk hood! I love spirit hoods! My favorite Spirit Hood is the husky! My Favorite is the Grizzly Bear! Hey there! 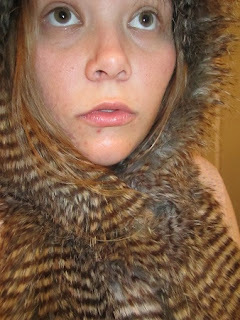 :) my favorite SpiritHood by far is the brand new RED FOX. 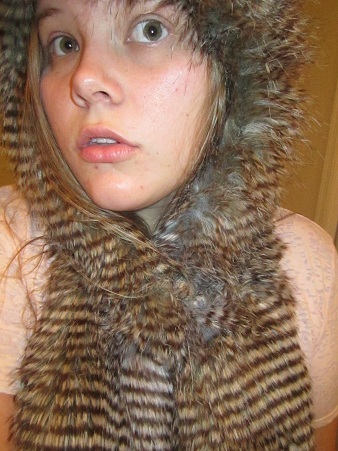 I love the new Tiger SpiritHood!! I love Spirit Hodds, I´ve already participate a giveaway with Odyssa, But I´ve forgotten to write it below, but in the odyssa I´ve mentioned it there..is it ok? can I still participate giveaway for spirit hoods?